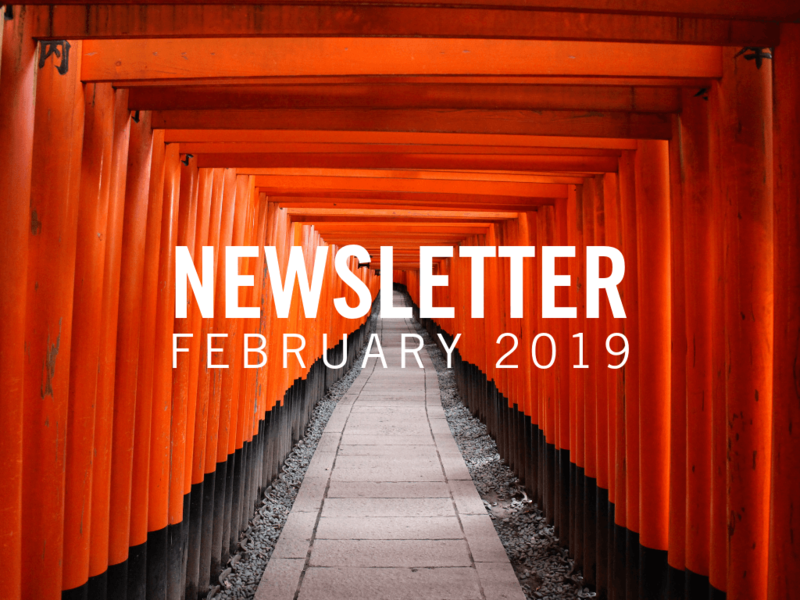 Convergence 2019 – Save the date! Here we are, with February 2019 already upon us. If the first few weeks of your year have been anything like mine, then you too might have to dig quite deep into your memory bank to remember what your holiday was like! But I do sincerely hope that you had a refreshing time with family and friends and that your short journey into 2019 has been a blessed one thus far. As a family, we had the privilege of spending a few days in Beaufort West for my cousin’s wedding. A couple of months before we went, our little 7-year old Kate-Rose decided that she wanted to get baptised and that she wanted to get baptised in Beaufort West (I was born there, got engaged there, and almost got married there as well). Of course, we were elated at her decision, and yet could not help to think, “We live near the beach, can’t you get baptised here? !” No, it had to be in Beaufort West. And so a couple of desperate prayers went up to heaven. God needed some reminding that the area was in the throes of one of the worst droughts in a long time, that there was absolutely no water in the dams in Beaufort West, and that the taps were turned off every evening at 22:00 to conserve water. Also, that there was a little girl who had her heart set on getting baptised there. Well, needless to say, the Lord came through for Kate and someone blessed us with guesthouse accommodation, complete with borehole water, a swimming pool, and everything else you need for a baptism! What you don’t see in the picture, is that before we could get around to baptising her, Kate dove head first into the water, just after she had shared her testimony on why she wanted to take the step of obedience! I must confess that a fleeting thought of panic crossed my mind, for surely a person has to walk into the pool and then wait to be baptised? But we were way too slow for her! She was going to be obedient and she was going to have fun doing it as well! And so the Holy Spirit challenged me in my predisposition towards religiosity. I saw in Kate’s response to Jesus’ command joyful, willing-from-the-heart obedience, an innocence in faith, and an expectation that the Father will provide whatever is needed to fulfil the steps of obedience laid out for her. The prophet Isaiah gives the nation of Israel this beautiful invitation, and I believe it is an invitation the Holy Spirit is extending to each one of us as we prayerfully venture further into this year. Isaiah 1:18-20 (NKJV): “Come now, and let us reason together,” says the Lord, “though your sins are like scarlet, they shall be as white as snow; though they are red like crimson, they shall be as wool. If you are willing and obedient, you shall eat the good of the land; but if you refuse and rebel, you shall be devoured by the sword”; for the mouth of the Lord has spoken. This beautiful passage invites us to once again consider the magnitude of the truth that it doesn’t matter how deep or how dark our sin and brokenness have scarred our identity, how painfully the shackles of shame have been cutting into our consciousness, or how overwhelmed we might feel by the expectations, challenges, and mountains of 2019: His blood-infused mercy is more than sufficient for anything we bring to Him. And as the power of baptism reminds us, that mercy is sufficient not just to cover our sin and brokenness with a layer of superficial spirituality, but to wash it away, to cleanse the deepest chambers of our hearts, and to awaken us to the promise of new life in Him. “If you are willing and obedient, you shall eat the good of the land; but if you refuse and rebel, you shall be devoured by the sword”; for the mouth of the Lord has spoken. We have a choice in every situation: the choice of obedience (trust and surrender) or rebellion (fear that is often just another manifestation of pride) against God. Having said that, I am convinced that the Lord is wanting to add a further dimension to that legacy of obedience, namely joyful willingness as the foundation of our obedience. I am encouraged by the conversations I am having with pastors and staff members who are chatting to me about dreams that they have. Some of them are leaving the formal Shofar employment to pursue other avenues, and my heart responds, “Go for it!” If that is what God is saying to you, if that is what the Lord is laying on your heart and if that is your calling, go for it! Pursue it! Don’t walk in fear. Don’t be afraid that you are going to disappoint us – please God, not man. Do it responsibly and wisely with due consideration to the practicalities and responsibilities involved. Make sure you are responding to a word from God and not out of fear or any other carnal motivation. And if God has spoken, then we want to bless and release you to follow that call on your life. God does not relate to outside conformity, to an obedience that is stripped of the passionate engagement of our hearts.2 His promise is for those who are willing and obedient! At a time when we are bombarded with so much negativity and when there seems to be more than enough reason to panic in the natural, I want to urge us not to neglect to come together as households of faith. Cherish the moments of corporate praise, go towards it expecting to meet with Jesus, the One who builds His church. Go there, ready to pour out your praise to the One who alone is worthy and join the band – not the band on the stage necessarily, but the band of unseen angels that are waiting to lift up their voices with us to exalt the Ancient of Days and the Lamb upon the throne. 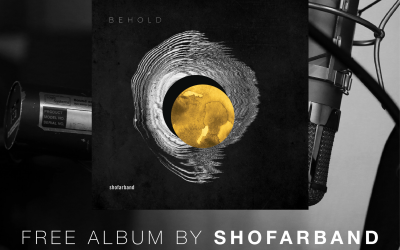 As we sensed again last year with the release of the latest ShofarBand album, God has graced our church family with a spirit of purity in worship that is indeed a special gift from His hand. Ask the Holy Spirit this year for the grace to never settle for simply going through the motions of outward obedience, but to engage with your heart, to draw near and to give your all to Him, and expect to see Him fill you with joy for the journey that lies ahead. The nations of the world are desperately needing to hear the sound of authentic, sustaining rejoicing, even in the midst of seemingly hopeless situations.5 For our joy is not based on things or circumstances, but rooted in a Person. The time has come for us to take the transforming joy we experience in His presence during corporate gatherings with us into our cubicles, our trains, our boardrooms and dining rooms, the operating theatre, classroom and sports fields of our everyday lives. I want you to have an expectation that God wants to come through for us, He wants to provide for us. I’m challenging my own unbelief, my small thinking that expects just a little bit of water in drought-stricken Beaufort West and yet, all along, God had a well of abundance prepared for that little heart who had willingly and obediently responded to His Word. 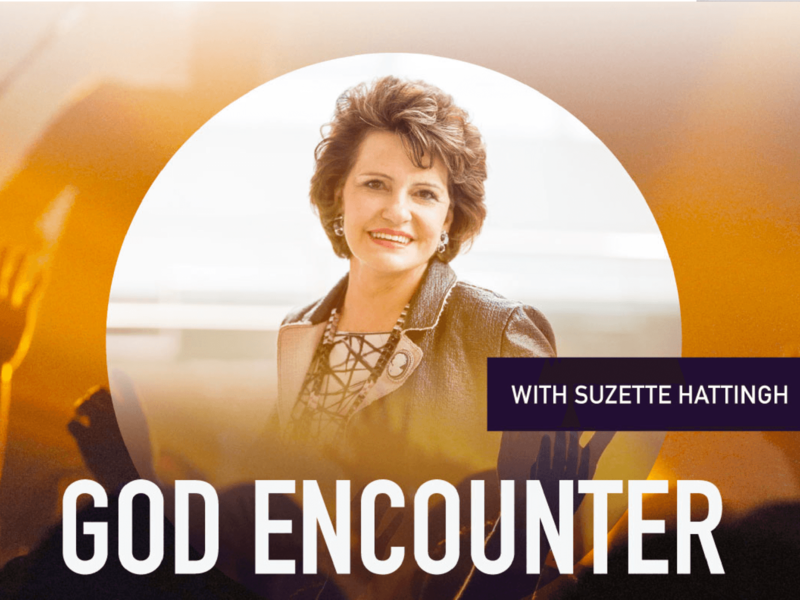 What an honour it was to sit under the ministry of Suzette Hattingh during our God Encounter held in November 2018. 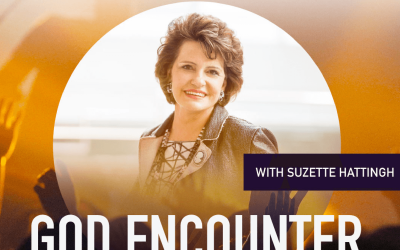 It was truly a God encounter as Suzette came to stir our hearts again to walk in the fullness of our calling to pray for the nations of the world. Over and over again, the call to the nations came as a personal call to intimacy with God in the first place. 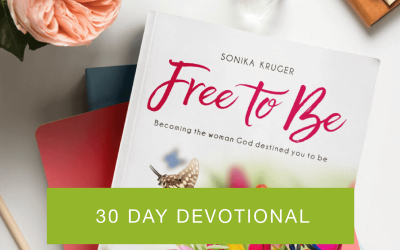 It is clear that everything in Suzette’s life flowed from a personal, intimate and faithful walk with God. Her passion for Jesus and for time with Him, outside of any ministry context, was refreshing, challenging and contagious. Her teachings were a reminder that the lifestyle of an intercessor is not the preserve of a select few very radical Christians, but the inheritance of every believer. Her emphasis on the dovetailing between entering the presence of the Lord through praise and worship and then praying out of that place was confirmation of what I believe the Lord is reminding us of – that the sound of prayer and the sound of worship go hand in hand. It truly is the blowing of the shofar. Her session on the different, yet complementary approaches to intercession, was especially powerful. Some of us are more inclined to pray prophetic prayers, others prayers of declaration, still others prayers of warfare and still others feel more comfortable within a very clearly structured prayer environment that makes provision for praying through a predefined list of needs or objectives. The beauty of all these styles or approaches is that not one of them is more spiritual than the other nor more special than the other, but that each one is dependent upon the other to bring the full counsel and wisdom of God to the fore. Be encouraged therefore that there is a place for each one of us, even as we differ in our praying styles and approaches. I believe that this mutual respect for differing spiritual approaches is a powerful building block that will enable us to walk together in unity as we earnestly pray for the harvest and the harvesters in these days. As far as teaching impartation is concerned, this promises to be one of the most significant, challenging and practical opportunities we have to be aligned with one another and with the Spirit of God, so I urge all of us to make an effort to download and watch the sessions in whatever capacity you can. 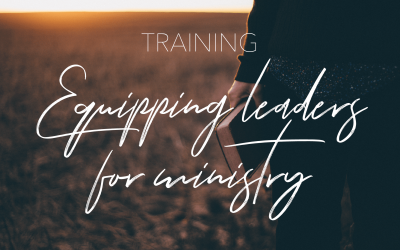 Feel free to visit Suzette’s website for more information on her ministry and further equipping resources. For more information on her ministry, visit Voice in the City. A big, colossal thank you to the entire Shofar Wellington team of elders, leaders and volunteers who initiated the weekend with Suzette and organised it with such excellence and loving service. This is truly a wonderful example of how the gifts and opportunities of one congregation can be leveraged and used to benefit the entire church family. It was hugely encouraging to see so many friends from other denominations and churches also joining us for the weekend. We are truly beginning to see the Body of Christ beginning to walk in ever-increasing unity and mutual service. It is time for us to gather to pray. It is time for us to dare to believe that our prayers are answered and it is time to believe that God can still do impossible things when we cry out to Him. See you in the throne room. 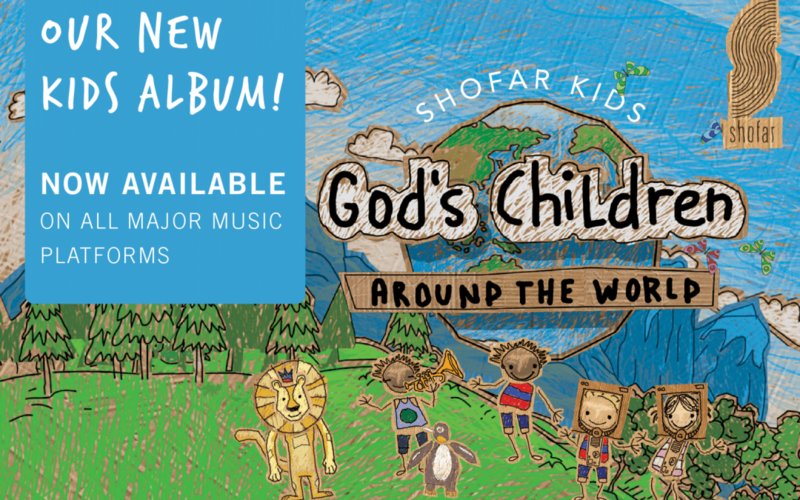 Four years ago, as the number of young families in Shofar grew, a desire to develop a praise and worship resource for children was birthed. 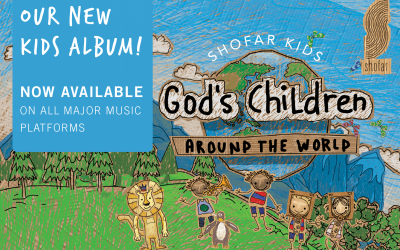 The worship ministry started adapting existing songs from Shofarband to create a product that could be used both at home and at children’s church for praise and worship. 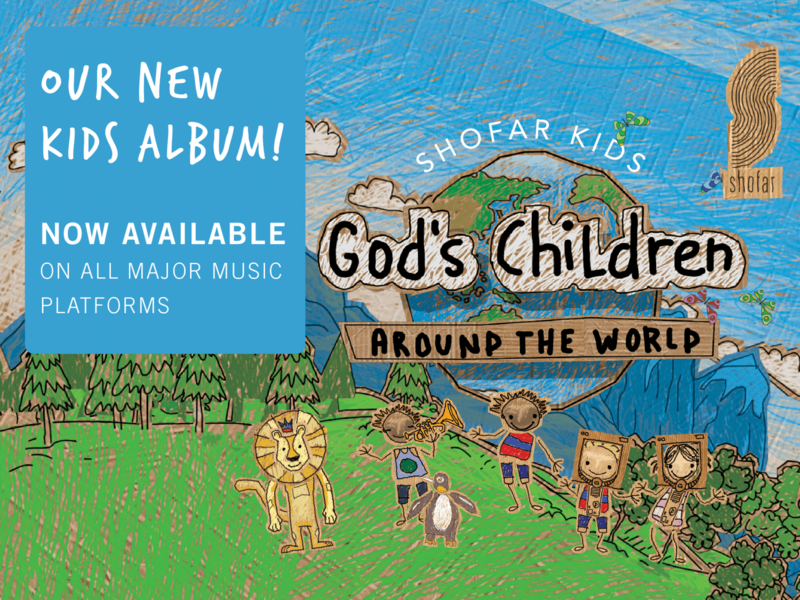 Seven songs were reworked to be more child-friendly, without compromising on the truth. 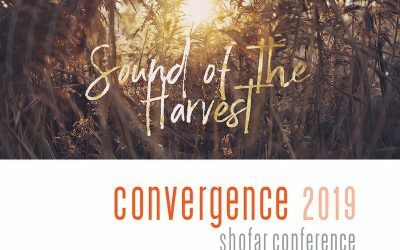 Production began in 2014 when Shofar’s global theme was ‘The Harvest’. Now, it will be released in the year where the church’s focus is ‘The Sound of the Harvest’, with a strong focus on reaching the nations. In the accompanying videos, kids fly around the world in a space ship. Each song has a different “destination”, representing the sound of a specific country, such as Argentina, Germany or China. The songs can be streamed on iTunes and all other major platforms. Here’s a teaser video of the DVD to get the whole family excited! Pre-order yours here. Noah’s ark. Abraham’s faith. Joseph’s dreams. Joshua, Deborah and Gideon’s courage. These larger-than-life figures’ stories come alive in Alida Bornman’s children’s book Heroes of the Bible, which is now going for its second print after its release last year. Vividly illustrated by Lenka Cronjé, the book chronicles the stories of true heroes who trusted in God and led courageously. Alida, a children’s church champion and mother of three, pastors the Shofar Worcester congregation together with her husband, Rick. A friend asked her to write down the way she tells Bible stories to her children and put it in book form to help other parents do the same. 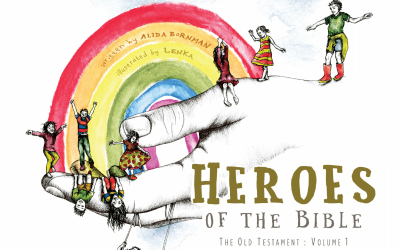 And so Heroes of the Bible was born, with a fresh new approach that makes these stories relevant to today’s children. 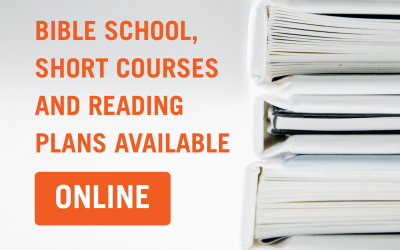 The primary purpose is to facilitate Holy Spirit-led Bible study in families, assisting parents in leaving a spiritual legacy for their children. Heroes of the Bible is a tool for parents on this journey – to make Scripture real to their children and establish eternal truths in their hearts. 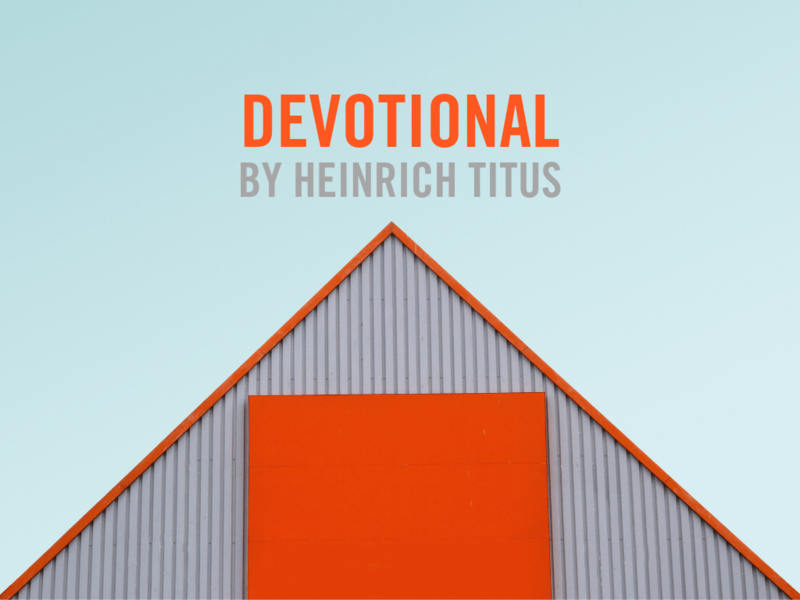 Notes in the text help parents have honest conversations with their children around topics such as obedience, trusting God and waiting for the fulfilment of His promises, as well as how these concepts play out practically in daily life. The lessons will challenge both parents and children: Can you give something precious away just as Abram gave Lot the best land? And how does this make you feel? This approach takes these stories from the pages of the Bible and brings them into the child’s world. What did it look inside the ark? What did it smell and sound? Families are invited to pause and reflect on the small details that reveal God’s character, also laying a foundation for the children’s own Bible study as they grow up. The book doesn’t shy away from difficult passages or skim over important details but makes them understandable. Alida encourages parents to not only share their good experiences with their children but to be real about the challenges they have faced and how following Christ costs something. Through these conversations, parents will also gain an understanding of how their children experience God and His presence in their lives. Throughout the book, families are encouraged to pray together. “Ask the Holy Spirit to help you, and allow Him to be the facilitator of the beautiful conversation happening between a child and a parent,” she says. Editorial: The book is also available in Afrikaans as Helde van die Bybel. You can purchase the book (in either English or Afrikaans) here.